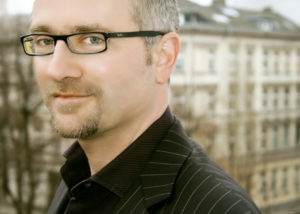 Prof. Dr. Ludger Heidbrink, KCG Project Co-Head and Professor for Practical Philosophy at the University of Kiel, is appointed by the German Federal Ministry of Justice and Consumer Protection to be a member of the Committee of the Consumer Research Network “Netzwerk Verbraucherforschung”. The Consumer Research Network is an interdisciplinary platform supported by the German Federal Ministry of Justice and Consumer Protection, aiming at encouraging and advancing various aspects of consumer research that may lead to new valuable insights that can help develop evidence-based consumer policy. The Network currently consists of around 170 academics as network members. The Network Committee, in which Heidbrink will join as a member in October, 2018, is responsible for the coordination of the network. With increasing complexities and widening varieties of transactions over time, carrying out related research to gain more insights into consumer behaviour, consumption patterns, consumer organisations and potential instruments for consumer policy becomes much more important than before. A coordinated network with hundreds of academics working on various aspects of consumer research is expected to make substantial contributions in this regard. Heidbrink as an expert in economic, corporate and consumer ethics in general and along the global supply chains in particular is expected to help, amongst others, intensify related discussions on the ethical implications of the consumer research both nationally and globally. More information about the Consumer Research Network can be found here.